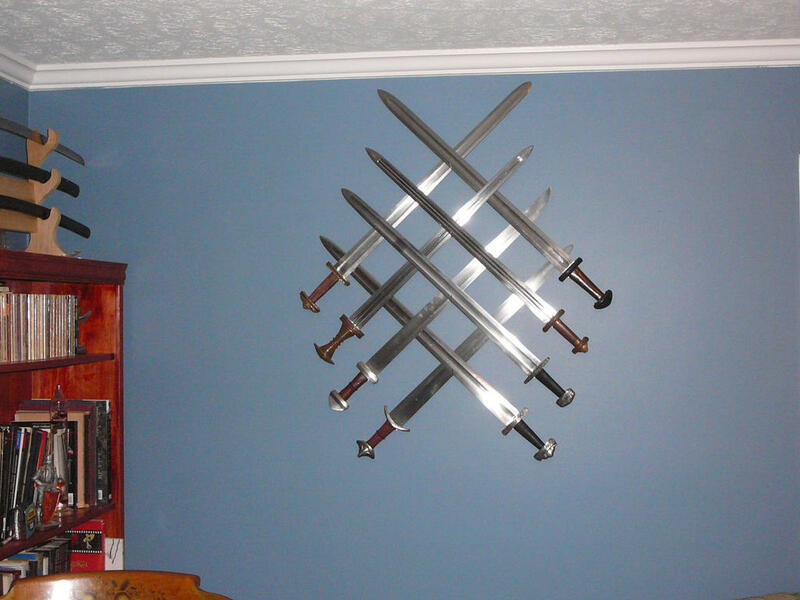 Tim that single edged Viking sword is awesome! I have a love for that type. 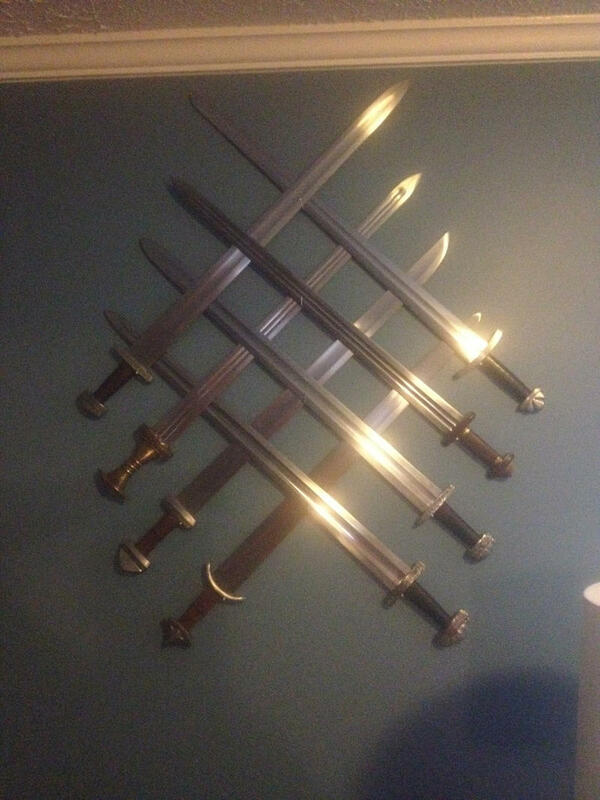 Tim that single edged coming sword is awesome! I have a love for that type. Agreed! 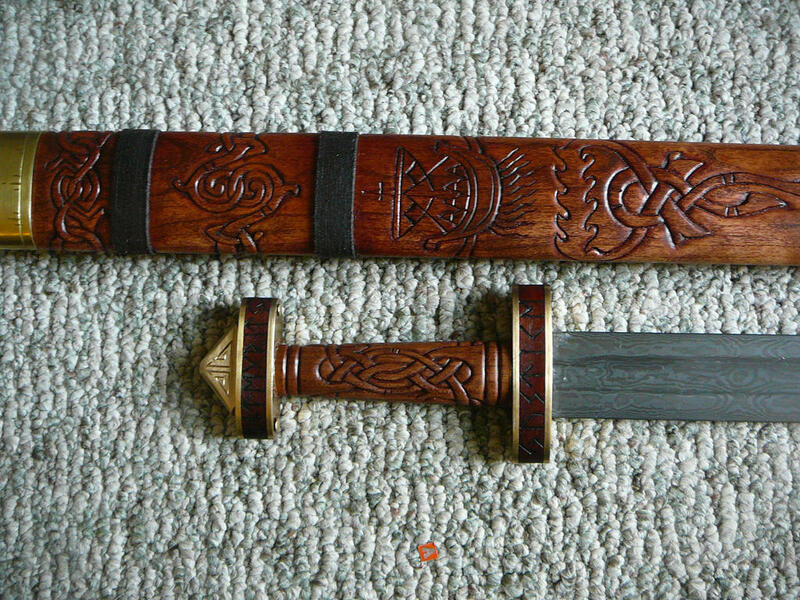 Really nice sword from Petr. Mostly Migration stuff here ecept for the long sax in the back ground. I forget who made it. 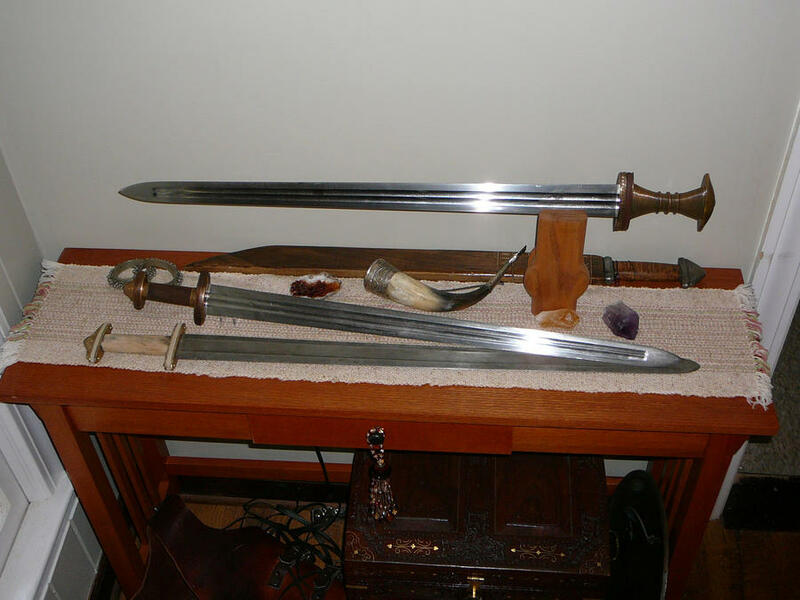 Most of Albion's viking swords. i am missing a couple. This one is slightly different. I put the Albions together for Albion Europe in this there is a Kris and Deltin as well. This is from the Mad Dwarfs.